Board Game - What are you going to do tomorrow? 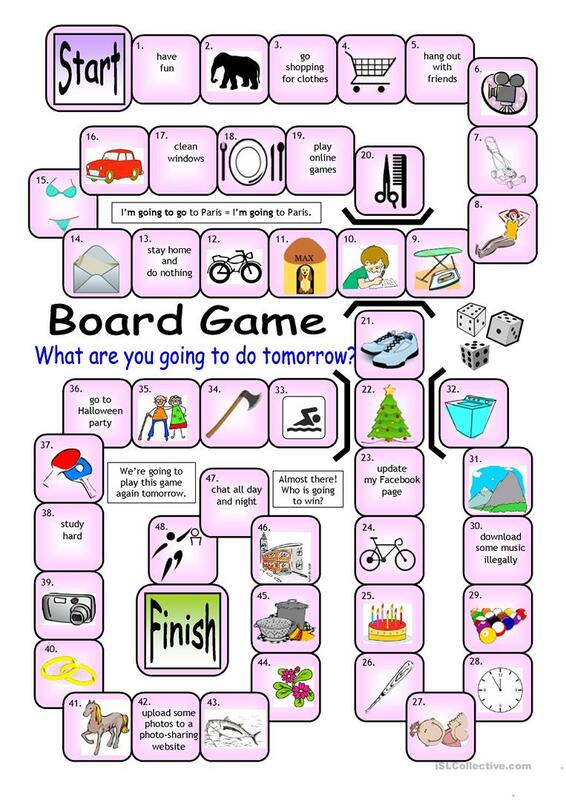 With this board game, learners will practise the future with Â´GOING TOÂ´ in an enjoyable way. Every square provides a picture clue (or some words). Every time a correct answer is given, the game can be used as a communicative activity whereby players ask each follow-up questions. LetÂ´s make learning fun! This downloadable teaching material is recommended for high school students and elementary school students at Pre-intermediate (A2) and Intermediate (B1) level. 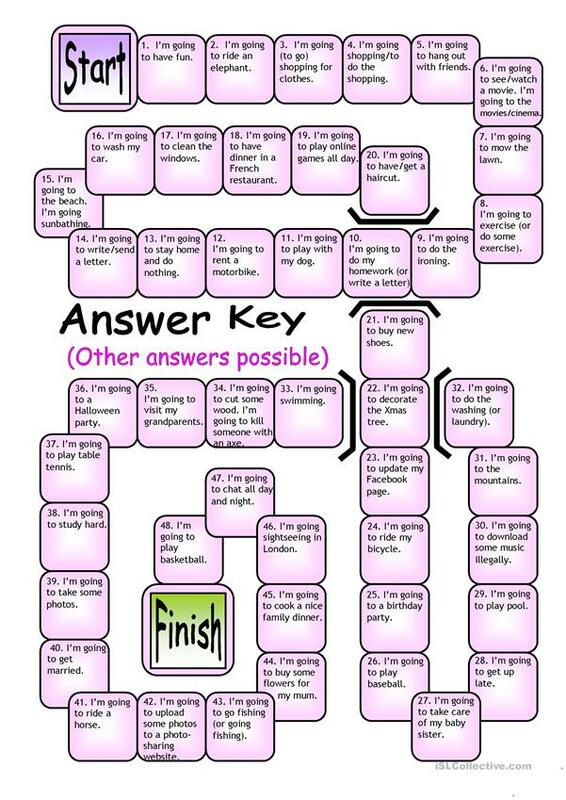 It is valuable for practising Future tenses in English. It features the vocabulary topic of Daily routines. The exercises come with answers.